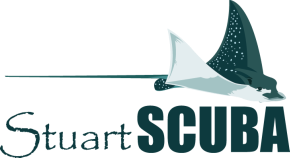 Stuart Scuba offers daily trips from our fleet of full service dive as well as specially scheduled trips to specific dive locations. Special trips to our Florida Springs and other locations will also be listed here as they are scheduled. If you would like to book a trip on one of our dive boats, or have interest in a specific trip or location not listed here, please contact our shop. Starting Sunday, November 3rd, our winter dive schedule is in effect. Boat trips will be limited to one trip per day, with a 9:00am departure time. Additional departures and private trips are available through special charter arrangement during the winter season. Weekday trips will depart so long as there are a minimum number of divers aboard. Sea Stryker requires a minimum of 3 divers. We have a few technical dive trips planned for the near future. Please book early as these trips fill up quickly. More trips will be added, so please check back with us. We are always finding different places to dive that are not the normal run of the mill dive site. We can also visit other sites not listed here. Contact Stuart Scuba if you have interest in one of these wrecks, or others, to put a trip together: the tug Big Al (175 fsw), The Tree Barge (185 fsw) and many more. Trips are $75 and will be leaving from Stuart, Jupiter, or West Palm. Prior to diving with Stuart Scuba, you will be required to fill out and sign both the printed and online Liability Release forms. Please click on the Liability Release form to the left to download a copy. You may bring this with you filled out and signed prior to boarding. Forms are also available at the boat dock and can be filled out prior to boarding. I understand the purpose of signing this document is to exempt and release STUART DIVE SHOP LLC., SCUBA VENTURE CHARTERS Inc, dba, its owners, employees, agents, and boats (whether owned, leased, or chartered) from any and all liabilities arising as a consequence of any acts or omissions on their part, including, but not limited to: Negligence, and Gross Negligence, Which may cause me injury or death. I am a certified diver or a student diver under the direct supervision of an instructor and have been taught and understand that scuba diving has inherent risks and dangers associated therewith including, but not limited to, risks associated with equipment failure, perils of the sea, and acts of fellow divers. I SPECIFICALLY ASSUME ALL SUCH RISKS. I have been diving within the past year, or I am currently participating in a dive training course, or I am a student under the instruction of a certified diving instructor. I acknowledge that I am physically fit to scuba dive and snorkel and I will not hold STUART DIVE SHOP, Scuba Venture Charters, or its owners, employees, agents, or boat responsible if I am injured as a result of heart problems, lung problems or other illnesses, or any other medical problems which may occur while I am on the boat, shop property, diving and/or snorkeling. I do not have in my possession any illegal drugs, nor am I taking, nor have I recently consumed any drugs or medication that would contradict diving. I am not under the influence of alcohol nor am I hung-over. I am aware of the dangers of holding my breath while diving and the dangers associated with rapid ascents and will not hold STUART DIVE, SCUBA VENTURE CHARTERS or its owners, employees, agents, or boats responsible for such acts. I fully understand and I am aware that the boat has limited medical facilities and that in the event of illness or injury, appropriate medical help must be summoned by radio and that treatment will be delayed until I can be transported to a proper medical care facility. Prior to leaving the dock, I will inspect all equipment to be used. I will take whatever actions are necessary to resolve any problems with my equipment before diving with it and I will not dive if all my equipment is not functioning properly. I will not hold STUART DIVE SHOP, SCUBA VENTURE CHARTERS or its owners, employees, agents or boats responsible for my failure to inspect my equipment prior to diving, I will be present and attentive to the safety briefing given by the dive staff and the boat captain and if there is anything that I do not understand or have been taught differently, I will notify the boat captain immediately. I understand it is my responsibility to plan and carry out my own dive and I agree to be responsible for my own safety. I will start my ascent at the end of each dive with enough air to guarantee being on the boat with a minimum of 500 PSI (34 Bar) remaining in my tank. I will immediately abort my dive if: (1) I feel uncomfortable with my diving abilities; and/or (2) Diving conditions are worse than those for which I have been trained or for which I have experience. If I become distressed on the surface, I will IMMEDIATELY drop my weight belt and inflate my BC for permanent floatation assistance and if I want or need assistance from the boat, I will give the proper “diver in trouble” signal. I will not hold the STUART DIVE SHOP, SCUBA VENTURE CHARTERS or its owners, employees, agents, or boats for failure to rescue or recover me. IT IS MY INTENTION BY SIGNING THIS DOCUMENT TO GIVE UP ALL MY LEGAL RIGHTS TO SUE ANY PERSON OR ENTITIES REFERRED TO HEREIN, WHETHER SPECIFICALLY NAMED OR NOT. IT IS ALSO MY INTENTION TO EXEMPT AND RELEASE STUART DIVE SHOP, SCUBA VENTURE CHARTERS, ITS OWNERS, EMPLOYEES, AGENTS, AND BOATS (WHETHER OWNED, OPERATED, LEASED OR CHARTERED) AND TO HOLD THESE ENTITIES HARMLESS FROM ANY LIABILITY FOR PERSONAL INJURY, PROPERTY DAMAGE, OR WRONGFUL DEATH CAUSED BY NEGLIGENCE OF ANY KIND; AND I ASSUME ALL RISK IN CONNECTION WITH SNORKELING, BOATING AND SCUBA DIVING ACTIVITIES. I HAVE READ AND UNDERSTAND THE FOREGOING IN ITS ENTIRETY AND VOLUNTARILY AGREE TO THE TERMS AND CONDITIONS SET FORTH IN THIS DOCUMENT ON BEHALF OF MY SELF, MY HEIRS, AND MY PERSONAL REPRESENTATIVES. If under the age of 18, parent or guardian signature required. Under 18 years of age must have Parent or Guardian's signature. Local Area Boat Trips: Cancellations initiated by the store or by any boat captain prior to commencement of any diving activities that day. Will receive a full monetary refund or re-booking on another of our boats. 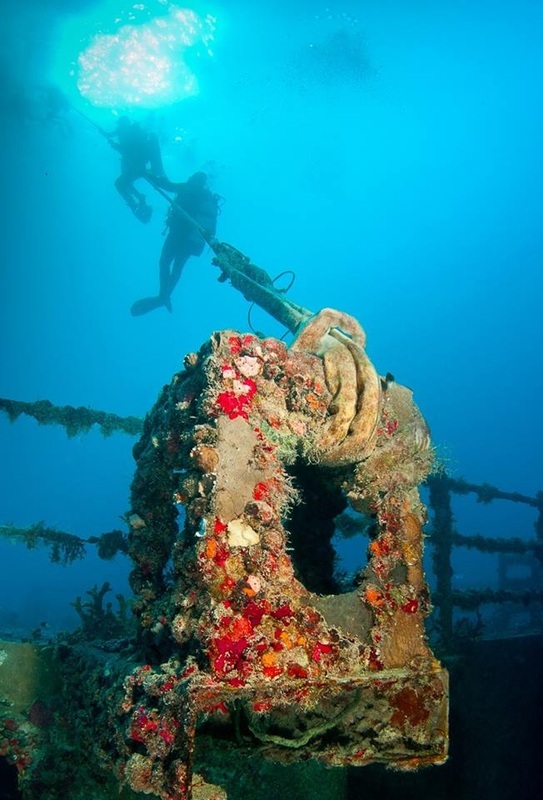 If any Captain chooses to cancel any diving operations after the boat has left the dock passengers will receive a 50% boat credit and a 50% rental credit if any rentals were reserved with the exception of tank rentals. There is Zero credit or refund any un-used or partially used rental tanks. Cancellations Initiated By Passengers 24 Hours Prior To Scheduled Departures: Will receive a full monetary refund or a boat credit will be applied to your next trip (this includes the cost of any rentals that were reserved). Cancellations Initiated By Any Passengers Of Less Than 24 Hours Prior To Any Scheduled Departure: Will receive ZERO refunds and ZERO boat credit. This policy also applies to “No Shows” at the dock and any reserved rentals the day of departure. Pre Paid Boat Cards: Have ZERO monetary refund value & ZERO exchange value. But all boat cards have NO expiration date. 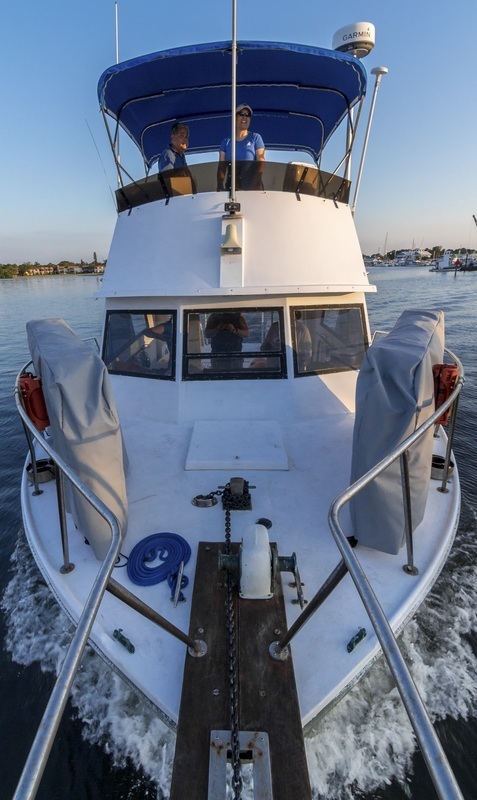 Non- Local Excursions & Boat Trips: Cancellations made ninety days prior to any departure of any boat trip or excursion will receive a full monetary refund. Cancellations made sixty days prior to departure of any boat trip or excursion will receive a 50% monetary refund. Cancellations made thirty days prior to departure will receive a 30% monetary refund. Zero refunds or credits are applied to any cancellation made less than thirty days prior to any non- local or International departures. Definition of Non- Local Excursions or Boat Trip: Any boat trip or excursion that involves international travel or is more than 50 miles from Stuart Scuba’s physical address is considered to be Non- Local. Stuart Scuba reserves the right to move any passengers/ Charters to another of our boats at the stores discretion.